There are two types of video recording in our app. Recorder type 1 (Doesn't support pause recording). 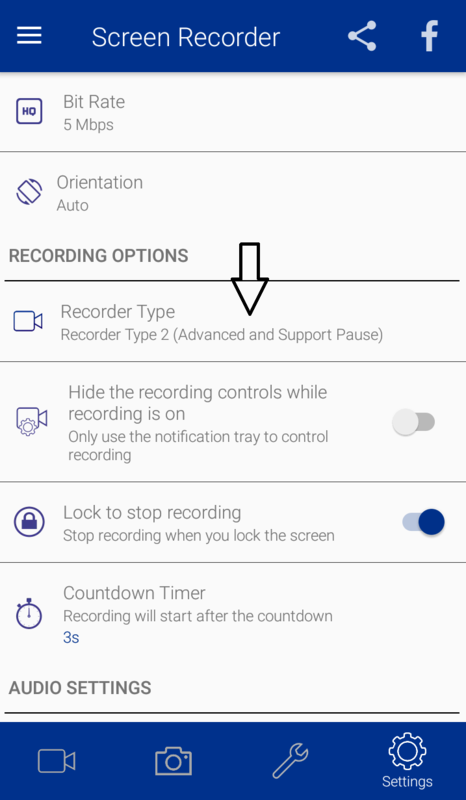 Recorder type 2 (It support pause recording). 3. Go to Recorder type. 4. Select your preferred recording.